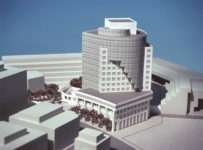 Retained by the Commonwealth of Massachusetts, rfa's mandate was to study several alternative sites for the construction of a new courthouse to serve Suffolk County. 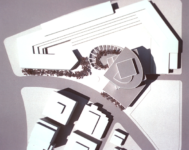 After rfaanalyzed and developed design studies for three different locations, the New Charden Street site was selected. 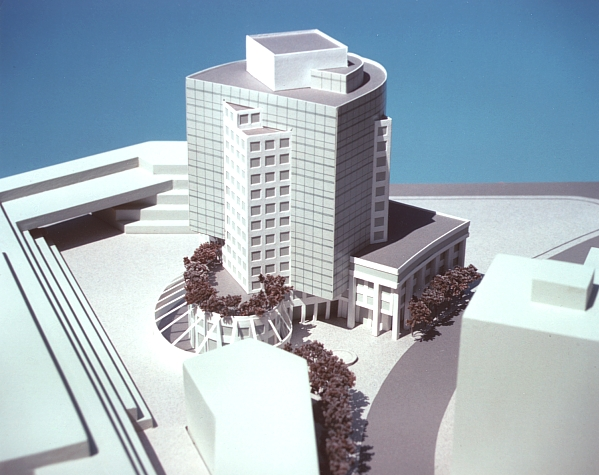 This site is located at the focal point of the Hurley Building, which was designed by the well-known architect, Paul Rudolph. rfa's design of the proposed courthouse structure takes its cues from Rudolph's curvilinear components and base plan. The building's curved volumes contrast with rectangular blocks of offices. These volumes intersect each other creating a dynamic inter play of forms and surfaces. About rfa	rfa is an award-winning, published leader in Architecture, Planning and Interior Design with offices in Boston, MA and Laguna Hills, CA. In addition to our Commercial, Hospitality and Residential studios, we are renown as Veterinary Hospital Architects, Animal Shelter Architects and Boarding/Breeding Facility Architects. We are licensed and regularly practice in nearly every state in the U.S. and abroad. Having completed more than 400 projects over the past 30 years, we offer our clients unrivaled experience, creativity and dedication. Orange County Animal Care Facility Now O The Orange County Animal Care Facility officially opened to the public on Saturday March 24th, 2018. The facility is now serving the animals, and educating the citizens of fourteen surrounding cities and communities. Adoptions from the facility began on Sunday March 25th. The rfa team was delighted to be in attendance at the grand opening. The excitement and positivity was evident among the public, staff. . .